The Bass family came from the township of Hythe, one of the 'cinque ports' located some 70 miles southeast of London and on the southern coast of England. During the eighteenth century Hythe was relatively small and inconsequential, a picturesque fishing village that harboured the odd smuggler. 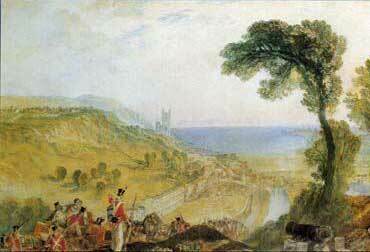 The period of the Napoleonic wars, from 1801 to 1815, saw the township grow dramatically. As a French invasion fleet was amassed directly across the English channel at Boulogne, the Government built a number of 'Martello' towers and other defences along the coast on either side of Hythe including, after some prevarication, a 28-mile canal which ran from Seabrook, located to the east of Hythe, to the village of Pett in Sussex. According to Duncan Forbes' Hythe Haven (1982: 124), the canal was 'sixty feet wide, with a towpath and drainage ditch on the seaward side, and a rampart or parapet, a military road and another drainage ditch on the landward side. The canal was of particular significance to Hythe, since it was the only town it actually passes through'. The construction of the canal, which took from 1805 to 1809, and the stationing in the town of an army garrison saw the population of Hythe and its surrounds (including West Hythe and Lympne) expand dramatically and, as it turned out, permanently. During the Bass family's time in Hythe, the town was, in the words of Pigot's directory, 'replete with romantic scenery' and 'afforded numerous pleasant walks and rides'. This was especially so during the bathing season when the township and its three 'excellent inns' swelled with visitors who would amble over the surrounding hills - from where, on a clear day, they could see the coast of France - visit the local barracks, and take advantage of the town's well-stocked library and public reading rooms. The circumstances that made the town attractive to visitors, however, worked against those in the lower orders who needed to work all year to support their growing families. During the long winter months, when seasonal gales lashed the coast and the houses of the gentry were vacated, the opportunities for unskilled workers in particular were very limited, imposing on many the indignity of having to seek assistance from the local Parish Chest, or worse, placing their loved ones in the Union Poor House at Romney. Faced with these circumstances, some sought to supplement their meagre incomes with money earned from smuggling, many moved to, or sought work in, the larger towns of Folkestone or Dover while others, such as Benjamin and Jane, succumbed to the lure of colonial life with its temperate climate and promise of plentiful food and above average wages. 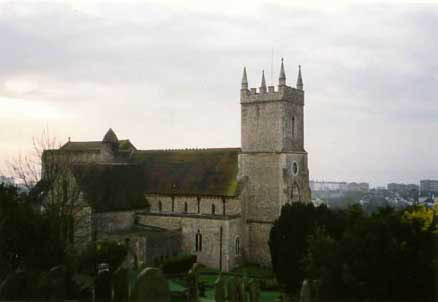 The parish records and Bishop's Transcripts for Hythe, which admittedly were hard to read in places, contained no mention of the name Bass until 1801 when a William Bass was baptised at St Leonard's Church of England (pictured on the left) at Hythe on 14 June. William's parents were recorded as Thomas and Sarah Bass where Thomas was said to be a private soldier with the West Kent militia. The records indicate that Thomas and Sarah had three children - William, Anne Elizabeth and Robert - in Hythe between 1801 and 1805. There is no further record until 1811 when the couple had four more children baptised in Hythe (Henry, Edward, Sarah and Maria). This suggests that Thomas may have moved or been posted away from Hythe and then returned either on duty or after he was demobilised, a possibility supported by records in the Public Records Office at Kew (WO/4224) which show that a Thomas Bass served in the Hythe Company of the 3rd Battalion of the West Kent militia from 1803 to the second quarter of 1806. The 1841 census shows Thomas, then aged 65 and Sarah, also 65, living at Hythe with their son Edward and a Sarah Bass aged 5 years. Thomas died from a visitation of God at St Leonard's Hythe on 18 June 1842. He was aged 69 years. Sarah died from asthma and chronic catarrh at St Leonard's Hythe on 7 January 1851 when she was 77 years old. Her death was witnessed by an Ann Miller from Reyligh in Essex. I'm assuming that Thomas and Sarah were our Jane's grandparents although that has not been proven. We do know that her parents were Thomas Bass (1803-1880) and Harriet Frances Harrison (1801-1880). The 1841 census shows Thomas Bass, a 30 year-old agricultural labourer, living at Hardway's End in the parish of St Leonards in Hythe. With him were his wife Harriet Bass (30), and children Jane Bass (15), Robert Bass (10), Emily Bass (10), Agnes Bass (5) and Maria Bass (2). All had been born in the county. The 1851 census indicates that Thomas Bass was born in Hythe in 1806 although I could find no record of his baptism there in either the parish records or Bishop's Transcripts. Nor was there a record of Thomas' marriage to Harriet Frances, suggesting they were married elsewhere (possibly in Dover). The 1841 census states that Harriet Bass was born in Kent whereas the 1851 census shows her as Frances and says her place of birth was 'Berry' in Suffolk (probably Bury St Edmunds). Their daughter Emily's marriage certificate states that Harriet's maiden name was Harrison. This seems to be confirmed by the 1851 census entry for Emily (see below) which also indicates that Harriet's father was William Harrison. The 1861 and 1871 censuses show Thomas (who was working as a gardener) and Harriet (a seamstress) living on East Street in Hythe. This is confirmed by Hythe's record of water rates which show that Thomas occupied a house on East Street that belonged first to a George Court and then a Mrs Gaskell (surely not Elizabeth Gaskell!) between 1866 and 1879. The local parish registers show that a Thomas Bass, aged 77 years and 'of Hythe', was buried there on 9 August 1880. A Harriet Bass of Hythe and aged 88 years was also buried in Hythe in 1880. Thomas' death certificate shows that he died of senile decay in the Lyminge Union workhouse on 5 August 1880. He was described as a gardener. Harriet, said on her death certificate to be the 'widow of Thomas Bass, a gardener of Hythe, also died 'of old age' in the Lyminge workhouse. Jane's exact siblings are a bit uncertain. Both the parish records and Bishop's Transcripts for Hythe show that Thomas, a labourer, and Harriet Bass had two children baptised there: Jane Hannah Bass (baptised on 20 September 1826) and Maria Elizabeth Bass (27 January 1839). They further show that Thomas Bass, a labourer, and Frances Bass had baptised in Hythe: Celia Bass (baptised 2 January 1825), Harriet Bass (7 January 1827), Robert Bass (16 November 1828), Frances Sarah Bass (baptised on 21 September 1831), Emily Charlotte 'Twight' Bass (22 September 1833) and Agnes Harriet Bass (29 November 1835). Significantly perhaps, the BTs record that Agnes' mother was Harriet Frances Bass. On the basis of this last finding and the dates of the baptisms, I'm assuming that Frances and Harriet Bass were probably the same person. This possibility is supported in some ways by the census data but not in others. It is possible that the two groups of children may have been cousins rather than siblings. What of the various childrens' lives? I've found no mention of Celia or Harriet junior other than their notices of baptism. The parish records and BTs show one Frances Sarah Bass was buried in Hythe on 28 June 1833 and another, aged 20 years, married after banns Charles Munday, a blacksmith from Mersham (near Ashford) in Kent, at Hythe on 15 May 1853. They also show that on 25 June 1865, Thomas Bass, a batchelor of Hythe, married after banns Elizabeth Jane Palmer a spinster from the parish of Mereworth. There is no mention of his parents or of the couple having any children in Hythe. As described below, we know a little more about Jane, Robert, Emily, Agnes and Maria Elizabeth Bass. The Hythe parish registers and Bishop's Transcripts show that Jane Hannah Bafs [sic] was baptised at St Leonards, Hythe on 20 September 1826. Her father was said to be Thomas, a labourer, and her mother was Harriet. The 1841 census shows Jane, aged 15 years, living at Hardways End in the parish of St Leonards, Hythe with Thomas Bass, a 30 year-old agricultural labourer, Harriet Bass (30), Robert Bass (10), Emily Bass (10), Agnes Bass (5) and Maria Bass (2). All had been born in the county. Both the parish records and BTs for Hythe show that Jane had an illegitimate son Thomas George Bass who was baptised in Hythe on 5 August 1846. Thomas' birth certificate shows that he was born at St Leonard's Hythe on 4 May 1846 and that his father was George Hayward, a labourer. Two years later, Jane married Benjamin Cheeseman after banns at Dover in Kent on 3 December 1848. The wedding certificate states that Jane was a spinster, that both she and Benjamin were then living at Queen Street in Dover, and that the witnesses to the marriage were William and Eliza Bass (William was probably Jane's uncle). The 1851 census shows Jane living at St Leonards in Hythe with Benjamin and their two sons Alfred (born in Lympne in March 1849) and Herbert (born in Hythe in January 1851). In 1853, Benjamin, Jane and their family, together with Jane's illegitimate son, Thomas, sailed to Australia as assisted emigrants. The story of their life and times there is described at Benjamin and Jane in Australia. The parish records and BTs for Hythe show Robert was baptised in Hythe on 16 November 1828. The 1841 census shows Robert, aged 10, living at Hardway's End in the parish of St Leonard's at Hythe with his parents Thomas and Harriet Bass and siblings Jane, Emily, Agnes and Maria. The 1851 census shows Robert Bass, a fisherman aged 23 years, living at Hythe with his father Thomas, Thomas' wife Frances, and his nephew Thomas Bass (Jane's illegitimate son). I could not find him in the 1861 census. In 1871 Robert and and his wife Hannah Howard were living at 204 Windmill Row in Hythe with their nine year-old daughter Fanny Bass (born at Cheriton in 1862). In 1881 Robert and Hannah were living on Church Hill in Hythe. Their daughter, Fanny, was working as a housemaid at the Seabrook Hotel at Newington near Hythe. The parish records for Hythe indicate that Robert died and was buried at Hythe on 17 March 1882. After her husband's death, Hannah continued to live in Hythe with her younger brother, Charles. She appears to have died sometime between 1891 and 1901. The parish registers and BTs for Hythe show that Emily Charlotte 'Twight' Bass was baptised there on 22 September 1833 where her parents were recorded as Thomas, a labourer, and Frances Bass. The 1841 census shows Emily living at Hythe with her parents Thomas, a 30 year-old agricultural labourer, and Harriet Bass (30), and siblings: Jane Bass (15), Robert Bass (10), Agnes Bass (5) and Maria Bass (2). All were said to have been born in the county. The 1851 census shows an Emily Bass, aged 17 and born in Hythe, was a visitor at Folkestone. Located at the same address were two families: the Harrisons and Hills. The Harrisons had all been born at Folkestone and comprised: Margaret (Head, a widow aged 42), William (father-in-law, widower, 71), James (brother-in-law, unmarried, 43), and six children - Lydia (15), George (14), Jane (12), Harriet (7), William (2) and James (1). I'm assuming that William Harrison is Emily's grandfather and Margaret and James her aunt (by marriage) and uncle respectively. When she was 20, Emily emigrated to Australia with Jane and Benjamin Cheeseman and took up a six month appointment as a domestic servant at the Major's Line Station near Heathcote. She married James Oseen at Castlemaine in Victoria on 4 January 1858. James was a storekeeper who was living at Barker's Creek at Castlemaine (where Albert Facey's people had first lived). James had been born in Amoy in China. His parents were Georgy and Harriet Oseen (nee James). Emily's marriage certificate states that she had been born at Dumphries in Scotland and her parents were Thomas Bass, a gardener, and Frances Harrison (I am assuming that this was either a transcription error - see below - or an attempt to cover her past). Emily worked as a seamstress and died from the effects of dysentery at Specimen Gully, Barker's Creek on 30 March 1862. Her death certificate states that she was 28 years old and had been born at Hythe in Kent. No other personal details were provided (the informant was a Castlemaine undertaker, John Savage). She is buried in the Castlemaine cemetery. Pamela Nicholls tells us that after Emily's death, James Oseen married Margaret Mowbray Black at Eaglehawk in Victoria on 13 September 1862. She had been born at Dunfermline in Fife in Scotland in 1845, the daughter of John and Margaret Black (nee Mowbray). James and Margaret had three children - Margaret Mowbray Black Oseen (1864-1945), Harriet Oseen (1866-1941) and James Henry Oseen (1868-1874) - before James' death at Specimen Gully at Barker's Creek in 1868. Margaret later moved to Melbourne where she died at Prahran in 1931. Her eldest daughter, Margaret Mowbray Black Oseen, married William Edward Holmes at Castlemaine in 1888 and had four children all born in Melbourne between 1889 and 1896. 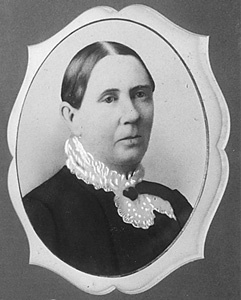 Her younger daughter, Harriet Oseen, married Thomas Vinton Nicholls at Collingwood in Melbourne in 1896 and had four children between 1897 and 1905. Details of James and Margaret Oseen's family and descendants can be viewed on Pamela Nichols' Nicholls/Holmes website and Vicky Clemow's Clemow and Teakle Family Tree on Rootsweb (30 June 2008). Pamela has recently discovered that James' chinese name was Hau Soong and that his father was probably Hau Chung. These discoveries are leading her to look again into James' Chinese roots. Baptised at Hythe on 29 November 1835, Agnes was, at the time of the 1841 census, still living there with her parents Thomas and Harriet and siblings: Jane, Robert, Emily and Maria. In 1851 she was working as a servant in Fulham for Ann Dale, the wife of a master mariner. The Catherine House indices show that an Agnes Harriet Bass was married in the Elham registration district of Kent in the October quarter of 1856 (vol. 2a, page 1340). Her husband was James Kelly a soldier in the 41st (Welsh) Regiment of Foot. James was an Irishman, born at Lucknow in 1828. It seems that James and Agnes went with the regiment to the West Indies where their eldest son, James was born at St Lucia in 1858. They returned to England prior to the 1861 census which shows James, a 33 year-old Sergeant Major, Agnes and their by then three year-old son on the regiment's roll-call at South Camp in Aldershot in Surrey. The 1881 census data indicates the family was in either Ireland or the East Indies at the time of the 1871 census. By 1881 James had left the Army and was living on Sturgeon Road in Newington in London and working as 'Chelsea Pensioner Clerk'. With him were Agnes, a 45 year-old dressmaker, and their four children: Michael (13 and born in the East Indies), Frances (8, Ireland), Laurence (6, Ireland) and Patrick (3, Ireland). I was unable to find any of them in the 1891 or 1901 censuses suggesting the family may have either emigrated or returned to Ireland. The parish registers and BTs for Hythe show that Maria Elizabeth Bass was baptised there on 27 January 1839. Her parents were recorded as Thomas, a labourer, and Harriet Bass. The 1841 census shows Maria, aged two, living at Hythe with her parents Thomas, a 30 year-old agricultural labourer, and Harriet Bass (30), and her siblings: Jane Bass (15), Robert Bass (10), Emily Bass (10), and Agnes Bass (5). I could not find Maria in the 1851 census. The parish records show that a Maria Elizabeth Bass, aged 20 years, was buried at Hythe on 1 May 1859.